Burning 1000 calories in a single session is not an easy task, but it can be accomplished. Everyone cannot attempt the workout that burns 1000 calories in just one session as it depends on person’s weight and fitness levels and also his/her intensity levels. This is especially difficult for an overweight individual as the process of burning so many calories requires more energy to move while exercising. The workout that burns 1000 calories consists of either exercises that are performed at a time or those that can be distributed across many segments over the course of the day. Exercises that burn 1000 calories are given below. Increasing speed helps you more burn more calories in a short session. Running is one such activity. An adult of an average weight, running at a speed of 7-10 km/hr can burn approximately 1,000 calories in 90 minutes. Similarly, running on a flight of stairs can help you burn 1000 calories in close to an hours’ time. Jumping rope is one of the high intensity exercises that burn 1000 calories within an hour. Counted among the highest calorie-burning exercises, jumping rope helps burn 11-25 calories per minute depending on the speed and intensity. Jumping rope at moderate intensity for 90 minutes burns 1000 calories in 70-90 minutes. Biking is an exercise that can help burn 1000 calories in a single session. The calories burned will differ when riding a stationary bike versus an outdoor bike. It also depends on intensity and terrain. 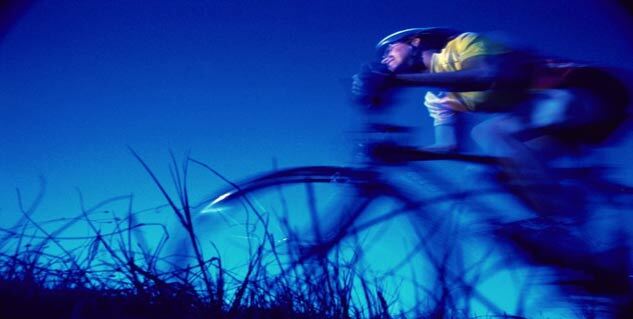 If you cycle at a racing speed of 25 km/hr for 70-90 minutes, you will burn approximately 1,000 calories. If your goal is to burn fat, intervals better be part of your program. Interval training involves short bursts of high-intensity exercises with recovery (low-intensity) exercises. Sprinting for two minutes with a one-minute recovery jog is one example of interval workout that burns 1000 calories. Owing to the high burst of intensity, the activity helps burn calories faster. Depending on the structure of training and exercises, the activity can help burn 1,000 calories in 70 to 90 minutes. You can include strength exercises such as push-ups, lunges, squats or bicep curls as recovery exercises to couple with high-intensity exercises. Before choosing workout that burn 1000 calories a day, you should consult a physician. An appropriate level of fitness is extremely important when it comes to exercising. If you don’t have the right fitness for a particular level, there can be trouble. Consulting a physician is a must for those new to fitness. You need to couple diet and foods with exercises that burn 1000 calories. There are certain foods that are conducive to help burn calories easily. Similarly, there are foods that boost your metabolism and helping you burn calories faster.